OWN is the first and only network named for, and inspired by, a single iconic leader. Oprah Winfrey's heart and creative instincts inform the brand. We embrace the love of storytelling. Our team has creative instincts with a distinct point of view, which creates and the magnetism of the channel. OWN is a leader in programming and attracts superstar talent to join its primetime lineup, which has built a global community of like-minded viewers who’ve connected on social media and beyond. OWN is a singular destination on cable. Depth with edge. Heart. Star power. Connection. And endless possibilities. OWN is a joint venture between Harpo, Inc. and Discovery Communications. The network debuted on January 1, 2011 and is available in 75 million homes. 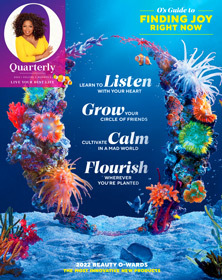 The venture also includes the award-winning digital platform Oprah.com. The OWN Internship Program is a 10-week, paid learning experience. The program offers students valuable industry knowledge and skills through opportunities such as hands-on training, project management, executive lectures and networking opportunities. Interns are placed in departments throughout the company. OWN Interns will be placed in individual departments that match their education background and interest. Each departmental intern will have specific projects and work closely with their team. All interns will gain a better understanding of the entertainment industry through research, attending meetings, administrative duties and interacting with both internal and external contacts while being in alignment with the brand and intention. The successful candidate must be able to work in a fast-paced environment, be able to work independently, and be knowledgeable in Microsoft Word, Excel, and PowerPoint. OWN LLC is an Equal Opportunity Employer. It is our policy to provide equal employment opportunities to all employees and applicants for employment without regard to race, color, religion, creed, national origin, gender, sexual orientation, age, gender identity, marital status, citizenship, disability, genetic information or veteran status or any other basis prohibited by applicable federal, state or local law.